How do foreigners search for suitable real estate in Thailand? Always make use of reputable estate agents when taking advice on real estate in Thailand. See the Thailand Real Estate Outlook, the glossary of Real Estate Terms and the Real Estate FAQs when you start your search for Real Estate in Thailand. How to consult a lawyer or law firm for purchasing property in Thailand? You would need legal advice as to buying in pre construction projects. There is also the cost of transfer or tax for your condominium. Thailand property taxes. Use the property transfer calculator to check your fees payable. See the compressed version on buying real estate and the common property problems in Thailand. What should we notice prior to the Sales and Purchase Agreement? To execute a sale and purchase agreement and to negotiate the sale and purchase price, the amount of the deposit, and the allocation between the seller and the buyer of the costs of transfer including taxes. The amount of the deposit is anything between 5 to 20%. Our recommendation is to keep the amount of the deposit as low as possible and to organize the transfer of the unit as quickly as possible after the date of the execution of the land department. What is the proper procedure for purchasing a freehold condominium unit? In order to be allowed to purchase a condominium unit freehold the foreign buyer will have to prove that the whole amount of the purchase price declared at the land department is to be paid out of foreign currency transferred to Thailand by the foreign buyer. To be able to provide this proof the name of the foreign buyer must appear at one or the other end of the transaction. The fund must be transferred in foreign currency only. The fund must be transferred from an account under the name of the foreign buyer or to an account in Thailand with the name of the foreign buyer. Add on the transfer mention that the funds are transferred to purchase a condominium. If you purchase the condominium unit jointly with your wife add a mention that the money is transferred on behalf of both spouses (not mandatory). What is the process of transferring title deed? The process of transferring ownership takes place at the offices of the Land Department. Usually, buyers give the power of attorney to their lawyers or agents to complete this procedure. Through this action, they change the name on the title deed of the condominium and pay the balance payment. The Gateway of Asia Exotic Thailand is Asia’s top tourist destination and offers a world class tourist industry at affordable prices, making it a magnet for visitors, re-locators and property investors alike. In many key locations in Thailand, the local economy relies heavily on tourism and increased property investment in these locations is now good news for domestic economic growth and good capital returns. 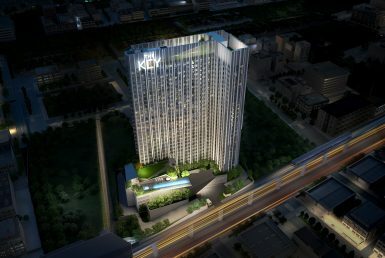 Can foreigner personally own a Condominium in Thailand? 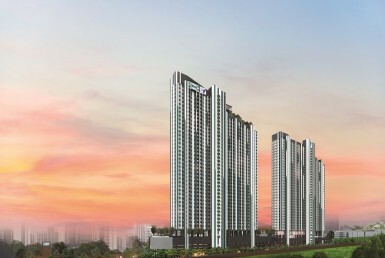 Foreigners can own Condominiums in their own names, provided that the total number of foreign held units does not exceed 49% of the total number of units in a particular condominium block. 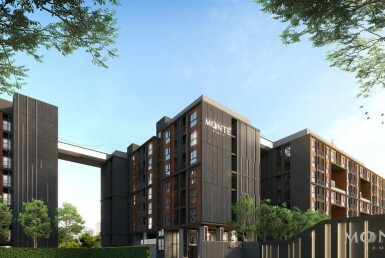 The money used to buy the condominium should be remitted from abroad in foreign currency to a bank in Thailand, (in the name of the person that will be registered on the title deed), with the remark “to purchase a condominium“. The prospective buyer should also obtain a “Thor Tor Sahm” form from the bank where the transferred money arrives. The owner of each condominium obtains a certificate of unit ownership. What are the Service Charges (maintenance fee) for Condominiums? Service charges are rather low in Thailand. They are used to maintain the common areas of the building like lifts, pools and corridors. Also the sinking fund that is set up when the condo units are initially purchased, is in many cases replenished by the service charges which are payable every year. Service charges are quite moderate, however, they vary considerably according to the degree of luxury provided by the existing infrastructure. What is a Thor Tor Sahm ? A Thor Tor Sahm is a bank document that is issued by the receiving bank when you deposit foreign currency into your bank account in Thailand. You must ask the receiving bank for a Thor Tor Sahm when you are remitting funds to Thailand for the purpose of buying a condominium, and the Thor Tor Sahm must state that the remittance is only for the purpose of purchasing a property. Can my Thai wife own land? Before 1998 any Thai woman married to a foreigner lost her right to purchase land in Thailand, but she could still retain land that was in her possession prior to marrying the foreigner. That has now changed. According to a ministerial regulation decreed in 1999 Thai nationals married to foreigners can purchase land, but the Thai spouse must prove that the money used to buy that land is legally hers and has not been provided by a foreigner. This can be achieved if the foreign spouse signs a declaration, declaring that the funds used to buy the property belonged to the Thai spouse prior to the marriage and that the foreigner has no claim to it. How does a company with limited liability allow foreigners to own property? Purchasing property through a company with limited liability has so far been the most popular method for foreign investors. The regulations vary throughout Thailand, but the Land Office generally requires that Thai nationals must hold a majority interest in order to be able to purchase land legally. In the light of recent government directives it is most important to seek competent professional advice on the implications of obtaining land ownership by this method. I don’t have a bank account in Thailand so how can I make payments for a property? Usually when you buy a new property in Thailand especially a Freehold Condominium, it is preferred that you pay directly from your account in your home country directly to the developers account as to obtain a Freehold title you will need to show the local land office that the money used to buy the property has originated from outside of Thailand this is provided by a Foreign Transaction Form (FTF) which is issued by the developers. Thai bank upon arriving in Thailand in the case that the transferred amount is 20,000 USD or over, these FTFs need to be kept and presented at the land office upon transfer of the title deed. 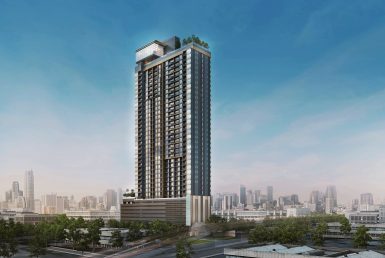 It is very easy to open a bank account in Thailand and it is possible to pay for a property, even a Freehold property, from a Thai bank account after transferring money from abroad to your Thai bank account, again in the case for a Freehold condominium be prepared to provide evidence (FTFs) at the local land office to show that the money originated (before in came to your Thai account) from outside of Thailand. For leased property you are not required to provide such documentation. Can I sell my Thai property in the future? Of course it is possible to sell your property in the future, even leasehold property can be resold, in the case that a freehold property is resold and you would like to take the money back out of Thailand you will need the Foreign Transaction forms to show to the bank that the money used to buy the property originally came from outside Thailand and then upon transferring the money back out of Thailand you will only be taxed on any profit you have made from the resale of the property and not on the total amount. Land in Thailand is measured using a local measurement of “Wah”, “Ngan” and “Rai”. Very simply 1 “Wah” = 4 Sq.m, 1 “Ngan” = 100 Sq.Wah or 400 Sq.m, 1 “Rai” = 400 Sq.Wah or 1,600 Sq.m. Furthermore 1 Acre is approximately 2.5 Rai. on the appraisal value of the property. (whichever is higher). This applies to both individuals and companies. Registered leasehold of up to 30 years for all types of titled land or buildings. Freehold land. More than 49% of the shares in a Thai company that owns freehold land. Lease term – A lease agreement will usually guarantee the initial 30-year lease term. It is difficult but possible and success will depend upon careful drafting of the clause regarding the intention to renew and there it will still subject to the Registrar’s discretion. If you invest 10 million baht in the Kingdom you may be eligible for a one year investment visa. You can be eligible for a one year extension of stay based on investment if you make an investment of 10 million baht or more in the Kingdom. 10 Million Baht deposited into a Term Savings account with an approved government Bank. 10 Million Baht invested into government bonds. Or a combination of investment in a savings account and government bonds. 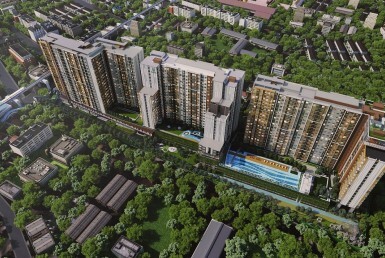 Proof of investment to purchase or rent for a period not less than 3 years at a price of not less than 10 million baht. Proof of money transfer is required.